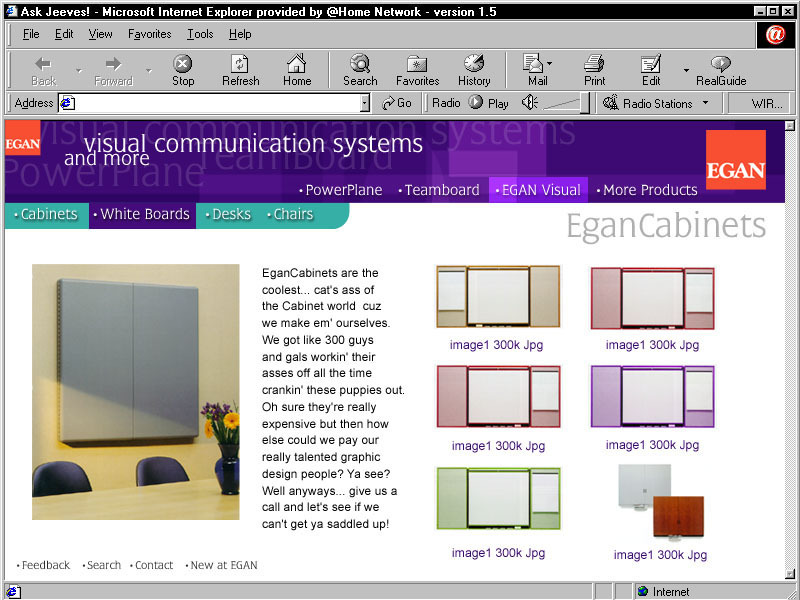 Egan.com web site launched in late 1999 and looked similar this early prototype image for more than 10 years. View the gallery of screen shots from 2001 and 2002 to see how the final site looked for most of the decade. The site enjoyed constant updates as the product line changed with the times.